As I mentioned last week, we are in the process of buying a new house. We don't move in until the end of the month, but I'm making design decisions and purchasing some new furniture in the meantime. If you're following me on pintrest, you'll recognize the photo on the left as my inspiration for our New Living Room. 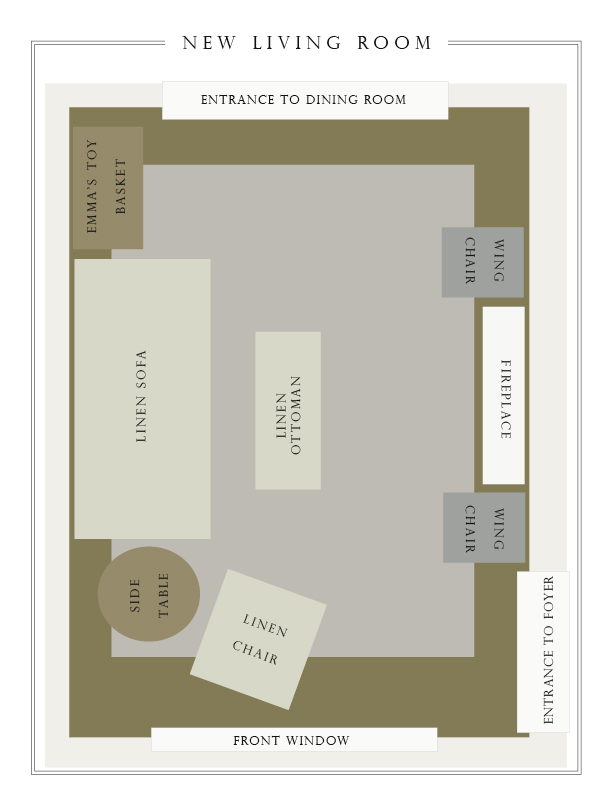 I've put together the layout above using InDesign to help me with the scale of the room to make sure everything I'm planning will fit nicely. After some long debates (in my head, with Mike and my sister), I've made some firm decisions regarding the new ottoman, wing back chairs and a light fixture. Things that are still up for debate are the final paint color (I know the hue, just working out the saturation...) and the rug. Double 'ugh' for the rug. We'll be keeping our current sofa (thank goodness for the budget's sake...) that is upholstered in a natural "sand" belgium linen. I've decided to purchase the 2 of the Slipcovered Wing Back dining room chairs from Restoration Hardware. My inspiration for these chairs is from the photo on the left of the Barefoot Contessa's home from House Beautiful. I'm going to have them flanking the fireplace in the Living Room, but will be able to move them to the dining room for special dinners. The price is a little expensive for dining room chairs, but a steal for a living room chair... so, since I'm going to be using them as both, I'm justifying the expense. I'm going to have them done in Fog grey linen, as pictured above. They are a great scale, measuring 25w x 27d x 47h. Not too too big for our house, but still very comfy. 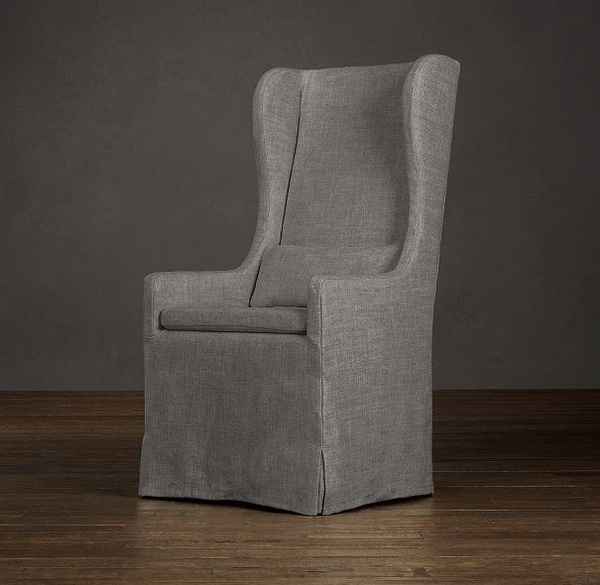 I also like that the wing back gives it a stately stature, but the slipcover makes it casual. 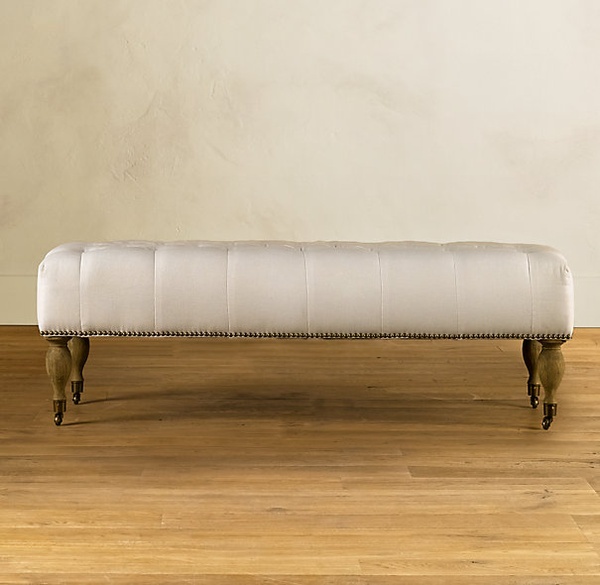 The ottoman has been another point of debate... what upholstery? Because I'm doing the grey Fog Linen for the Wing Backs, I've decided (finally...) to have it done to match the sofa in Sand Belgium Linen so I don't add too many fabrics into the room. I plan to have various throws, interesting drapes and pillows that will add color, dimension and pattern to the room. I'd rather stick with the basics for the main pieces, then have more fun with things that can be changed easily and often- as I'm known to do it for each season. I have always loved brass fixtures and plan to do them throughout the house to match the existing brass doorknobs and hardware. 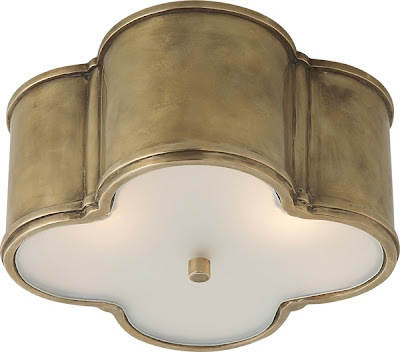 This one is from Circa Lighting. Hopefully my budget will allow to have multiples of these... if not, I'll settle for this one in the foyer, and something complimentary for the rest of the house - bedrooms, hallways, etc. 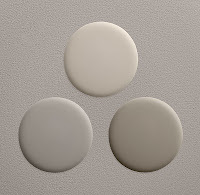 I want the walls in the entire house to be very neutral and light. I really like Stone and Ash from the Slate collection at Restoration Hardware. Ash and Stone are not pictured in the swatches on the left, but they are from that collection. Ash is the swatch to the right. 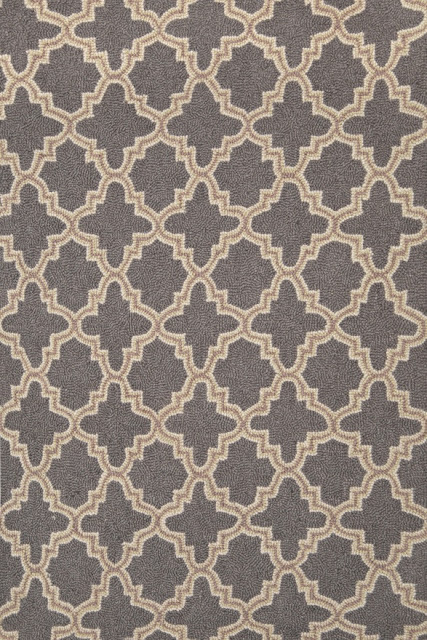 This rug from Ballard Designs, I love. I love the colors, I love the pattern, but I don't love the comfort level of the flat weave or the price. It is still the inspiration for what I'm looking for, though. This is the rug my sister has in her living room (that I love because I help her pick it out). I love the colors, but not sure if I want to mimic exactly what Jill's done in her house, just for the sake of copycat syndrome. 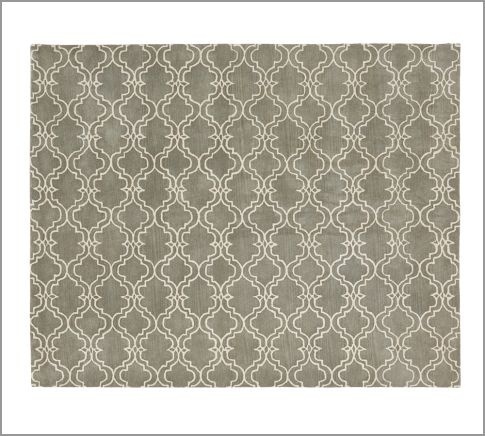 I also like this rug from Pottery Barn. Jill also has it in her hearth room. I also helped her pick it out. I'm wondering why I helped her so much : ) But, the real debate is if I want something as graphic, or if I want a more traditional Persian style... I do love the cleanness that the graphic pattern gives, but I like the classic look of the Persian... Did I mention double ugh? This rug is from Pottery Barn, also. I like the colors and the traditional Arts & Crafts block print. I think it would be a great classic look, but a little modern because of the clean block print. 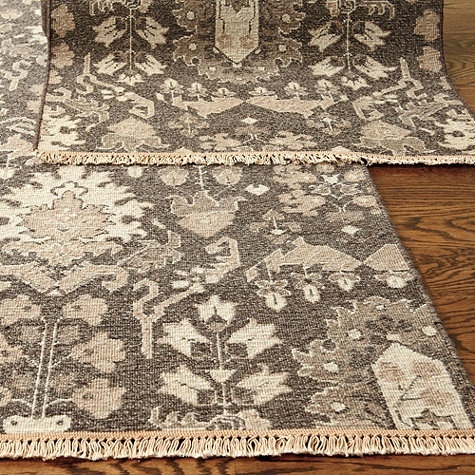 This rug from Pottery Barn struck me as interesting and eclectic. I think it would add major interest to the living room... maybe a little too much? Amy I missing any other rugs out there?! Your help would be appreciated! Love the color scheme, very timeless and neutral...great looking rugs! Love the inspiration so far...we have a very similar color palette in our living room and although this is different from the rugs you have selected above, we have the chunky wool jute from Pottery Barn and it's the most luscious feeling rug on your feet and looks great too! I love a neutral palette as well. The rugs are beautiful. 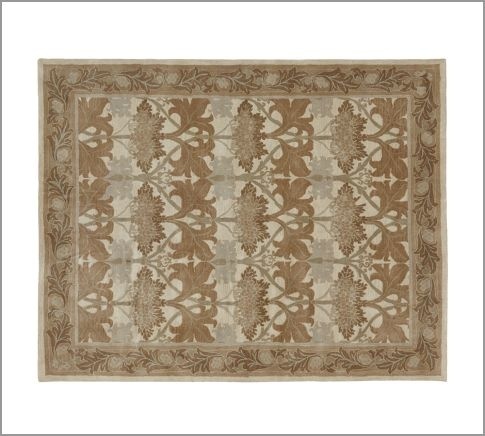 Have you considered a natural fiber rug such as seagrass? It would provide a different texture to the space and you could use print on the drapes and pillows. This will be beautiful! Andrea and Elizabeth- yes, I have thought about it. Would love to know about the one that is lucious an soft! As this is going to be out main living space, I want it to be soft and cozy for Emma. Love the color scheme and double love the chairs! I would go for the last rug from PB, I also love the first one from Ballard, but if it's not that soft I would go for the one from PB. I think it looks very rich and I like the eclectic feel it gives. I think it would look great with all your other furniture. We have an open floor plan and painted all of our main living areas in Ash and I love how it turned out. It's bright and airy - just perfect! Good luck, it's going to turn out beautiful! Funny! I was using Bassett Furniture's room designer for our living room the other day! I got the okay to purchase new living room furniture-finally! All I have decided to date is a fog linen couch and potentially this chair http://www.potterybarn.com/products/brooklyn-leather-armchair/?pkey=coccasional-chairs I love your rug! It can't stay? Oh! Where is the rug that is in your sister's living room from? I love that! Kate, the rug is from rugstudio.com. If you go to Jenny's Pinterest account and look at her Living Room inspiration board, it has a direct link to the rug. Yes, it is a Dash and Albert rug that is on rug studio... I really do like it a lot but the 9x12 is at the top of my budget! I guess... Budget? What budget?! Yeah, for real. We're currently decorating our first home and budget has become a dirty word in our house! I love both of the rugs you picked from Ballard designs, maybe you could find something similar in a larger size. Great idea to use the wing back chairs in the living room as well as the dining room. Your room is going to be beautiful. 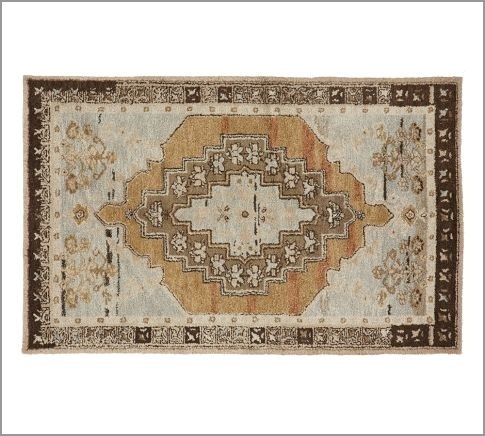 IN LOVE with the first rug you showed, but also like the bold geometric pattern of the one that looks like your sister's. Love the classic design for your living room. I absolutely adore the Restoration Hardware Slipcovered Wingbacks. I am thinking of putting them in our new living room too, a great price for two occasional chairs. What about the Circle Fret Tufted Wood Rug or the Beckham Stripe Platinum both from Dash & Albert? The price of the 6x9 isn't too bad, but the larger one is a little pricey. Dash & Albert you can also order direct from their website www.dashandalbert.com. My brother's shop, Dwellings carry's Dash & Albert and they do hold up really well. Carrie- yes, I do love the D and A's... But I need the big guy- 9x12! It is really putting a cramp in my budget :) I am in love with their outdoor rugs, too- I am going to order one of the striped ones as a runner for my kitchen... Now I just have to pick one! The very last rug is my favorite. I also like how the straight lines make it feel more modern. They are all so nice, but my favorites are the first two rugs from PB! 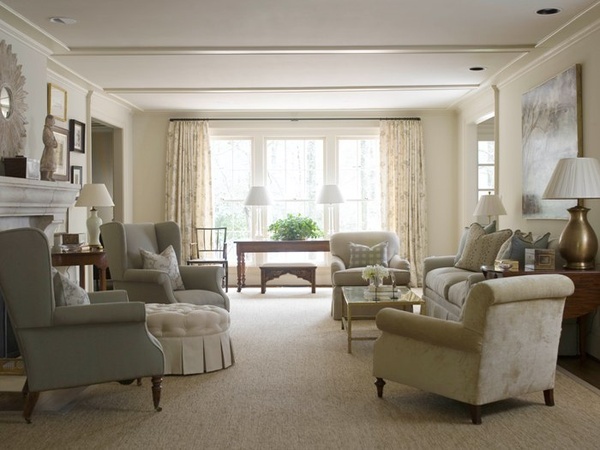 Can't go wrong with neutral colors in classic designs! before you buy, check overstock.com. I found my dream rug there. Love the color palette. Love how you are going to use the chairs in the living room. Great idea! 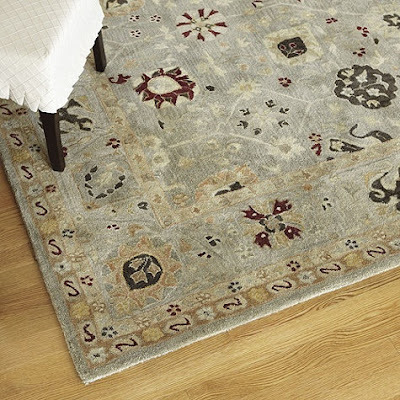 Favorite rugs are the first one from Ballard and the ones that your sister, Jill, has in her home. I absolutely love where you are going with this. Don't you just love Ina's home? That wingback chair from Restoration Hardware is soo beautiful. Nice job. oh jenny...i am having this same debate except for our bedroom! i think the last one from pottery barn is both graphic and traditional -- maybe the best of both worlds? it's so hard to know what's soft enough for our babies without actually seeing and feeling the rug. strangely, i'm headed to pottery barn today to do just that so i'll let you know if they have this one and if it's not cozy enough for miss emma! i'm curious about the chenille jute rug from PB...i mean, can it possibly be soft enough for lu to crawl on? Curious for myself....what are the names of the Ballard rugs? Jenny, where did you get your linen sofa? How do you make your Mood Boards online? Is there an easy way for someone not too computer savvy? I'm in the middle of a major renovation of a 1923 year old house.! You talked about expensive end tables, have you ever thought about flea market finds and Annie Sloan Chalk Paint? Your inspiration for your new living room is just gorgeous! It looks very cozy and perfect for bonding with your family even more. Anyway, you’re off to a good start. It helps to expose one’s self in different house designs, so that you don’t have to settle for a design that you don’t really want. I love the ottoman! I have a very similar Pottery Barn look that would go well with it..